Hi there! 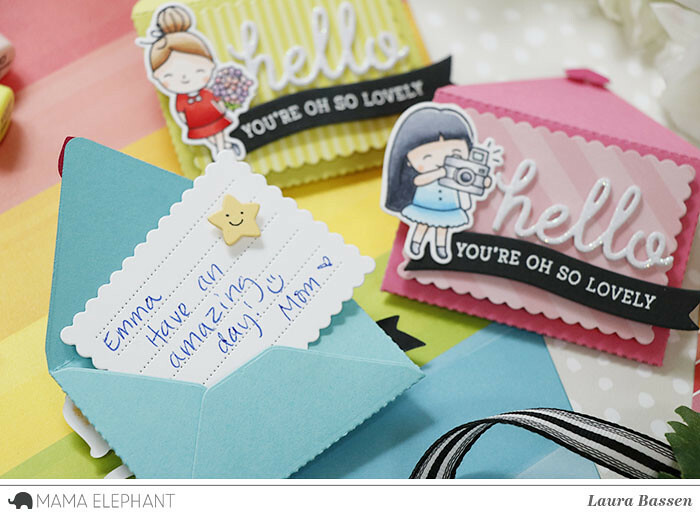 Laura here and today I have a few little pocket notes to share with you featuring the Pocket Envie-Creative Cuts. To begin I die cut all the pieces I needed to assemble these fun, little pocket notes. And here is what they look like all assembled. Aren't they adorable? These would be so fun to tuck into a lunchbox or to add to a gift. 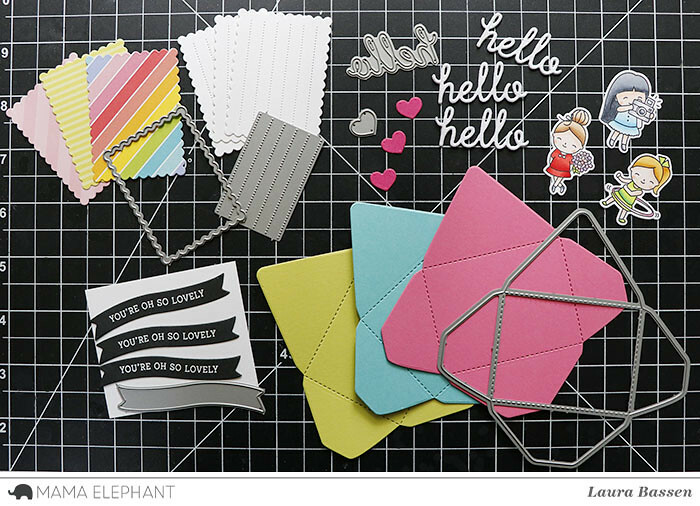 I used the Venice Envelope-Creative Cuts for the hello die cuts as well as the banners for the embossed sentiments. 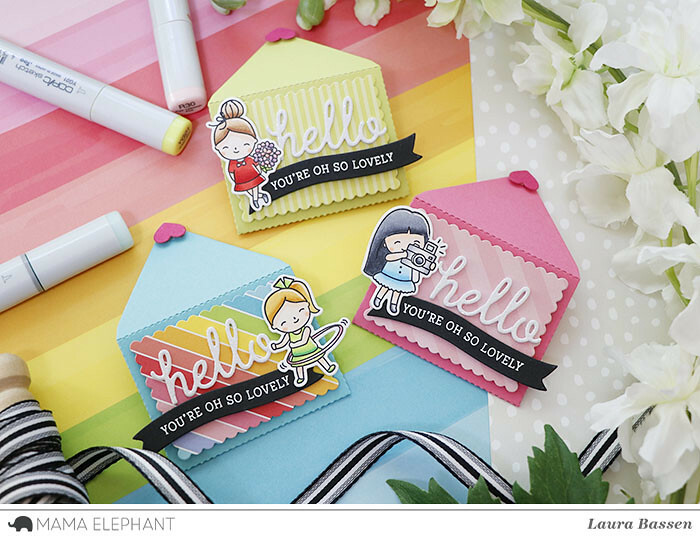 I also used the She's So Lovely set to add the cute little girls and the embossed sentiments. I had so much fun putting these sweet little pocket notes together. I'd like to make a few more with a more masculine feel to have on hand for my boys as well. Thanks so much for stopping by! These are so cute. I'd love to see an instructional video! How adorable! Thank you for great inspiration! So very cute and fun! So cute. Love the idea, images and dies. These are so cute! I wonder if they would fit a gift card? These are so sweet and fun!